Hello! 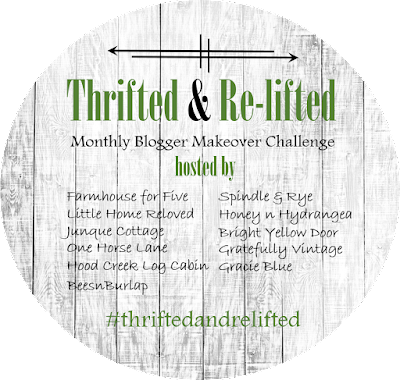 It's been a month which means it's time for another round of Thrifted & Re-lifted! I've teamed up with some amazing bloggers to bring you thrifty makeovers that anyone can do themselves at home! We keep our thrifted finds under $30 and challenge ourselves to give it a new look, purpose, etc..We also want to invite you to link up at the end of the post with a makeover you have done! We will be featuring our favorite makeover on the next months blog post. No worries if you don't have a project completed already, you have all month to link up! Purex® Plus Clorox 2® Review! 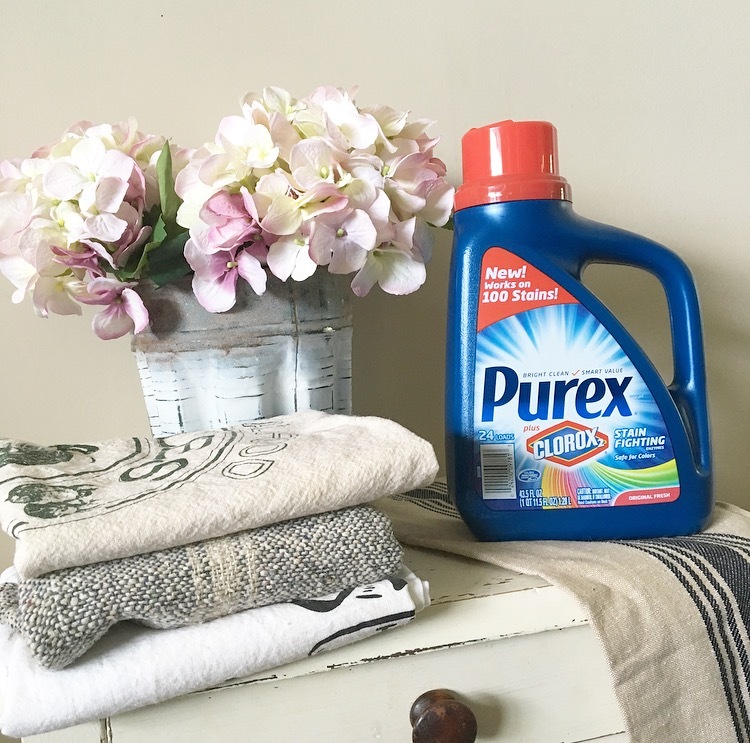 I am super excited to be able to work with Purex® and review their new Purex® Plus Clorox 2® stain fighting detergent! As a mom of 3 little girls, I am constantly finding stains on just about everything. Pillow covers, chair covers, dish towels, and blankets...just to name a few. 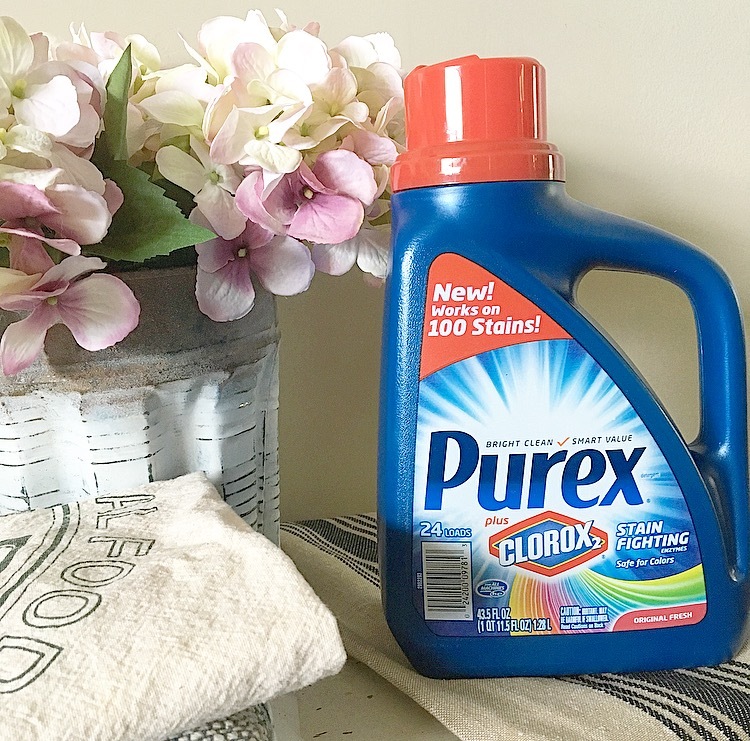 Purex® has came out with a detergent that fights over 100 stains, is safe for colors, and it's bleach free! 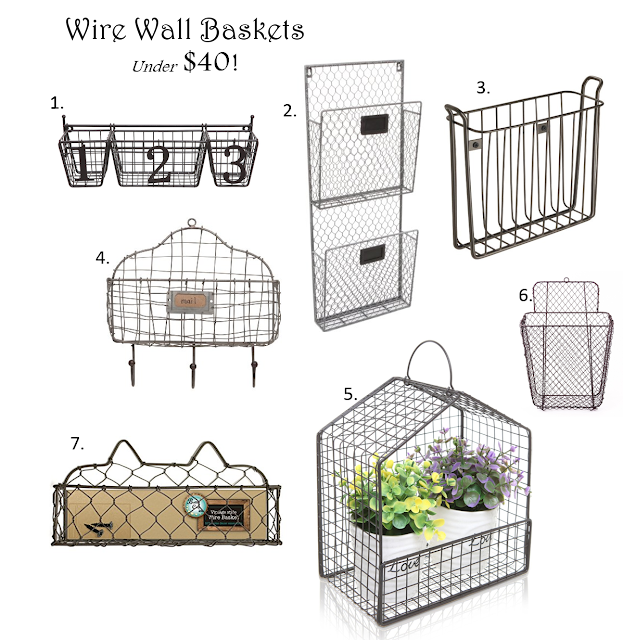 Wire Wall Baskets Under $40! I am currently obsessed with wire wall baskets! We are in the process of doing a bathroom remodel and I have a hanging wire wall basket picked out for the super small space. I rounded up my favorites here and they are all under $40! 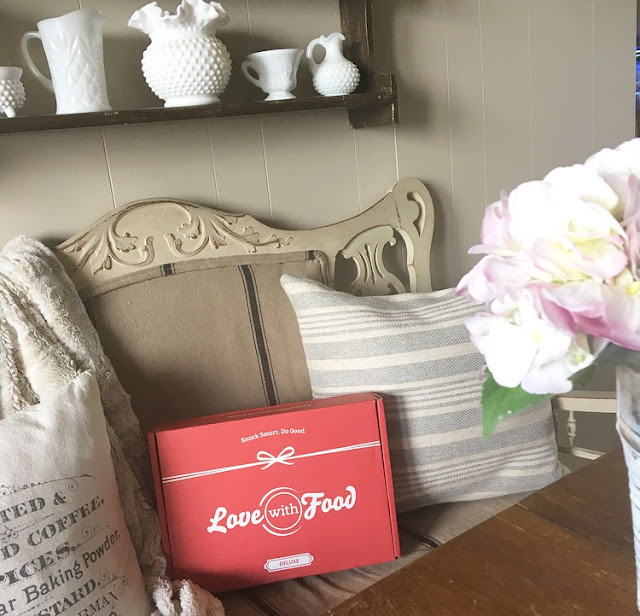 If you're like me and not sure what's truly healthy out there in the food market these days, then the Love with Food box is for you! I am a true "snacker". I love snacking more than eating meals most of the time because I am on the go so much. Love with Food allows you to sample many different natural or organic healthy snacks options! I love this because I have ran out and bought boxes of health foods before only to find out I liked half of them. Then I am stuck with a bunch of food I don't particularly like. With this box, I can sample products to know if it's something I would like to buy again or not. The best part about Love with Food is for every box you get, you are donating a meal to feed a hungry child in the U.S. How amazing it that?! I received the "Deluxe" Box which feeds two hungry children.